The Church of England voted on Tuesday against allowing bishops and other chess pieces to be shaped like women, guaranteeing more internal strife over board games – an issue of grave importance that has for years divided the mother church for the world’s 80 million Anglicans. 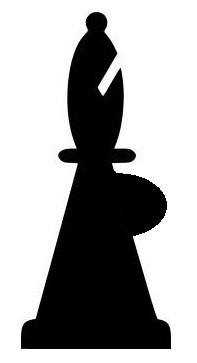 After hours of debate, clergy in the General Synod, the Church legislature, comfortably backed the change to allow chess pieces to be more curvy but lay members were four votes short of a two-thirds majority in favour of allowing lady lumps on chessmen. Some women priests in the public gallery wiped away tears, knowing they will have to wait at least another five years before they can hope to play chess with knights sporting wamjanglers and rooks shaped with obvious pairs of love dumplings in plain view. Bishops with baps are already allowed in Australia, New Zealand, Canada and the United States, but conservative evangelicals and Anglo-Catholics argue that male-only playing counters is God’s will and say that feminine looking pieces would break with a tradition of board game playing that stretches all the way back to Jesus’s famous game of Cluedo with the Twelve Apostles just before the Last Supper. As an avid follower of chess I totally agree with this manouvre. Unless strategies such as this are countered and blocked, the end game will be that every piece on the board will be a different colour, shape and size. No player would know which pieces were who’s on the rainbow board. The winner would be decided by a panel of liberomarxist judges with Trevor Phillips using tax payers money to ensure that every piece on the board had an equal opportunity to win and every piecre could ignore the age old rule of chess and move in any direction on as many square, diamond, circular and trapezoidal segment on the board. Peter Tatchell will start a campaign on behalf of Queens, Jaquiuiui Smith will get confused and defend pawns and justify us paying for her old mans tv habits, Bill Oddie will defend rooks and demand that bishops become sea lions and the BNP will demonstrate outside court to stop a one legged, lesbian with a lisp from the congo becoming the king. Hilarious 🙂 Perhaps this just demonstrates how out of touch the church is to the lives of ordinary people, and why ordinary people are turning their back on an outdated institution which supports a patriarchal society with an Etonian at its helm. The trouble is there is one just like it in Westminster, supported by a party which has liberal in its name. I don’t care what they do to the chess-pieces. There’s nothing hotter than two women playing chess. I mean, doesn’t the idea only get you all hot and bothered? Yes it’s only a matter of time when all such games shall be completely tranformed with the aim of forcing everyone to be equal. They’re revamping Cluedo to move with the times, next it will be Monopoly, so it doesn’t look good for chess. Transgender Rev green anyone? Bobbly bits on chess pieces will be a nightmare to clean too.